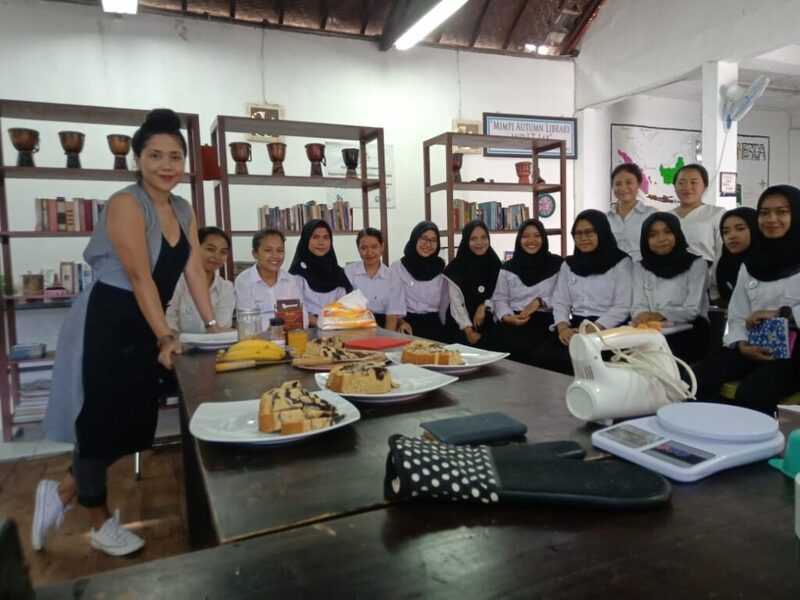 Empowering Marginalized Women through Skills Education as a means to develop Sustainable Communities in Indonesia. 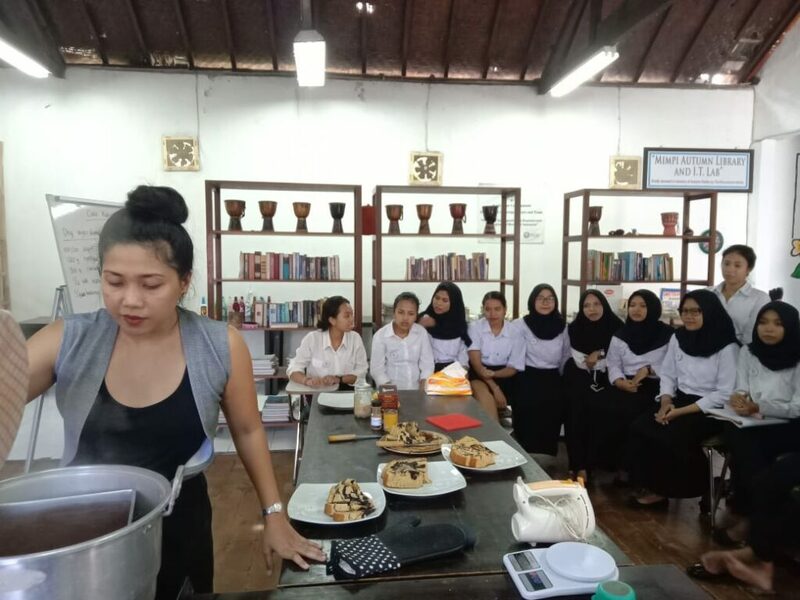 As part of their curriculum, Intake 39 is learning the Food & Beverages production in 5 stars hotel. 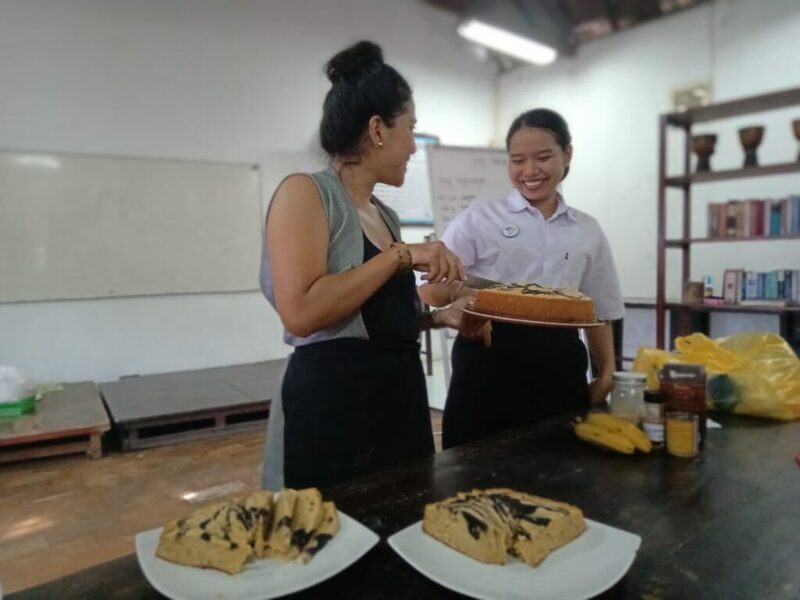 Last Monday class, taught by Ms. Dee, is a direct cooking class where they learned how to bake banana cake and brownies. 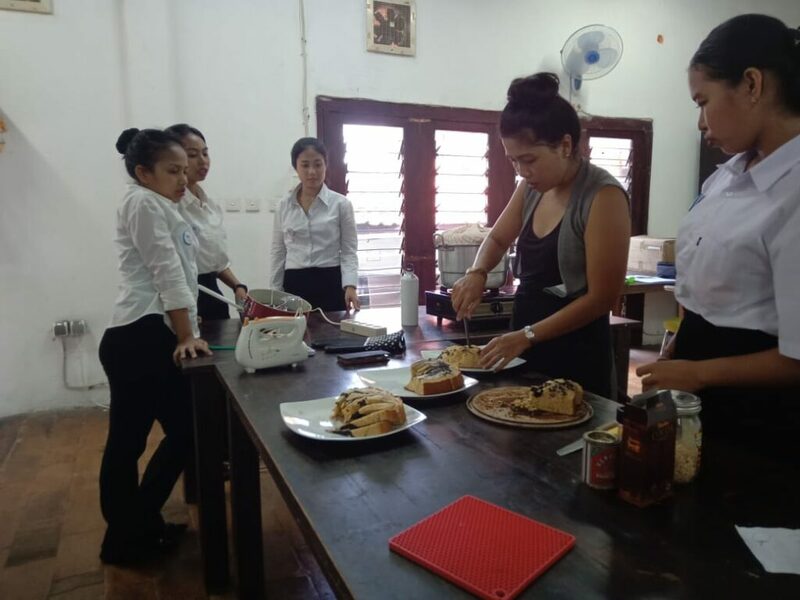 The skills taught by Ms. Dee is to enrich our student skills set for their vocational training at 5 stars hotel. 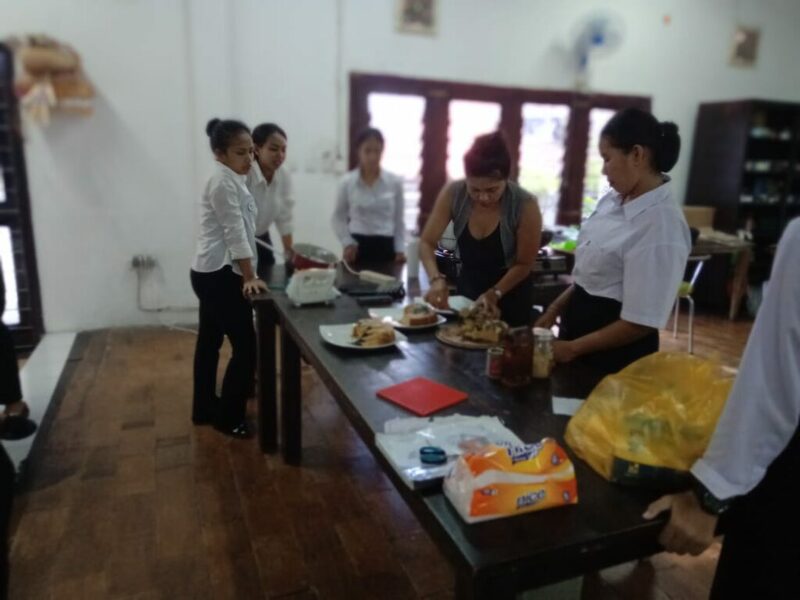 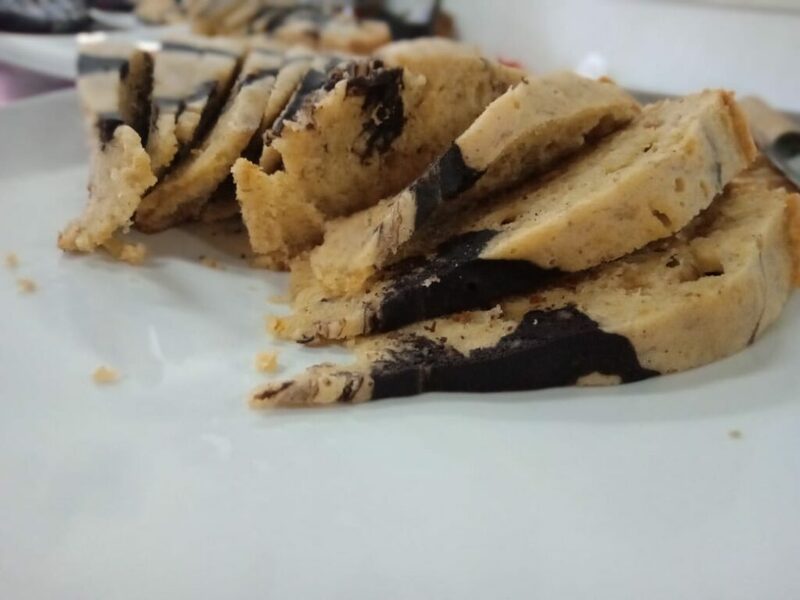 By being in F&B Product class, our student now have a good understanding of the kitchen department in a hotel and not only they learned how to bake, but they also learned how to pick the freshest ingredients and how to preserve them.